As part of the rebranding, you will see changes on all brand communication touch points over the next few months. 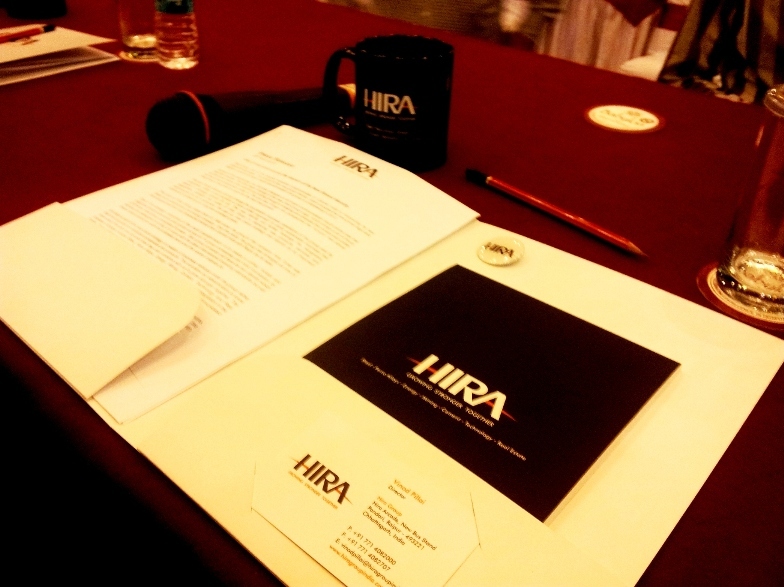 The first major change is the new Hira Group Logo, which brings a lot of focus on the brand name â€˜Hiraâ€™ with an arc cutting through it creating an umbrella that covers and unites all the group companies under it. The arc also brings into perspective the â€˜horizonâ€™ that allows Hira Group to set itself a vision for the next real growth. The origin of Hira Group dates back to 1965 when the groupâ€™s first company Hira Tyres was setup as an automobile tyre trading company. Over the years, the group has emerged as one of the strongest and the most respected brands from Central India with Raipur as its base. An integral part of the new brand strategy is creation of business verticals under the group rather than focusing only on individual companies and products. This will allow our stakeholders to know more about the work we do and how they can combine with us to grow stronger together. The business verticals include Steel, Ferro Alloys, Energy, Mining, Cement, Technology and Real Estate. These verticals interact with each other to create forward and backward integration in the our businesses which is a unique proposition of Hira Group and one that gets best communicated through the new group tagline â€“ Growing Stronger Together. The tagline clearly communicates the groupâ€™s focus on Growth rather than striving to only become a Leader. The group believes in real and sustainable growth that is truly inclusive benefitting Customers, Employees, Employees, Community and the Environment.